KAMPALA– Chinese health experts started training Ugandan medical workers in laparoscopic surgery. The training will last three months. The programme, carried out by the Chinese medical team at the China-Uganda Friendship Hospital and the China Jiangxi Corporation for International Economic and Technical Cooperation, offers training for 26 doctors, anaesthetists and nurses. Ou Yuan, a Bio-medical engineer and one of the facilitators, said the training is aimed at teaching health workers laparoscopic surgery, a modern surgical technique in which operations are performed through small incisions elsewhere in the body. “This equipment (machine) has been lying here without being used. This is because many doctors, anesthesia and nurses didn’t know how to use it,” Yuan said. “This training is very necessary. We need Ugandan doctors and nurses to know the operation and how to use the machines to offer services to the patient. We need to make everything better for the patient. 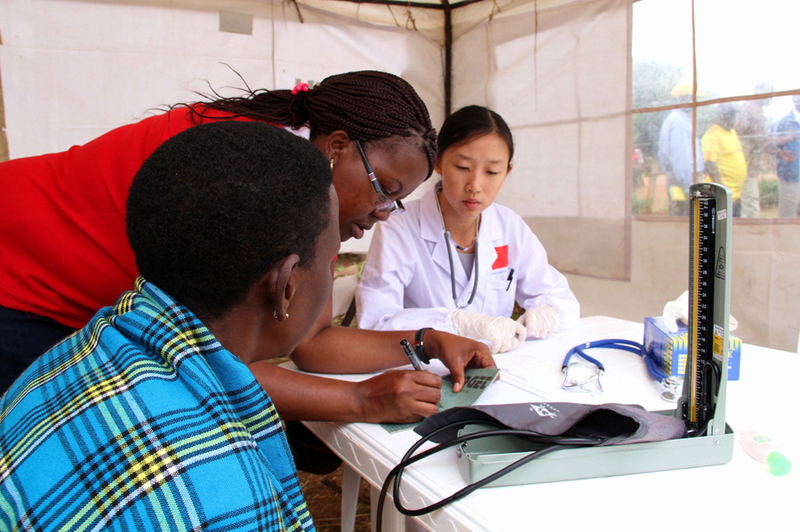 Regina Mugisa, principal hospital administrator of the China-Uganda Friendship Hospital said the new medical technology training will improve the health workers’ efficiency to operate on patients. “It’s very important that our staffs are trained in using this machine and technology. They will have the knowledge, know how to operate and use it,” she said. “We hope that any time we have an emergency, our doctors, nurses and other professionals are ready,” she added.